To splash or squirt and where and when? A well groomed guy is always in charge of his fragrance, although it should never dominate him. 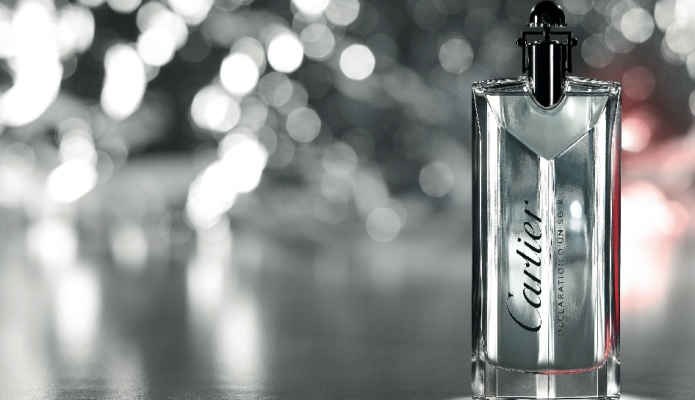 When wearing a heavy masculine evening fragrance this can be tricky, but not I am pleased to report with Declaration d’un Soir the latest offering from Cartier. Created by in house nose Mathilde Laurent it is a welcome and celebratory variation on the original Declaration but with the olfactory volume pumped up. As Mathilde explained to me Declaration d’un Soir has been created to ‘make the heart beat faster and drive men to speak there minds’ To that end she has used the effervescence of Pepper to ignite the spirit, Sandalwood for elegance and Rose for sensitivity. Both our male and female testers fell in love at first spritz and although heady this fragrance settles subtly, even romantically on the skin. If fragrances can convey emotion then come October Declaration d’un Soir should endow guys from John O’Groats to Land’s End with a heady blend of strength, sensitivity and ardour. Bring on those enchanted evenings!